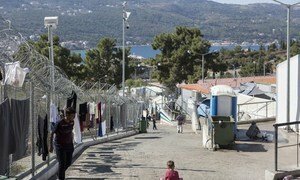 Authorities in Greece must take urgent steps to address the “abhorrent” humanitarian situation for around 11,000 asylum-seekers on the islands of Samos and Lesvos, the UN refugee agency warned on Tuesday [6 November 2018]. Yorgos Kyvernitis | Man sits at the overcrowded reception centre in Moria on the Greek island of Lesvos. | Photo from UN News. 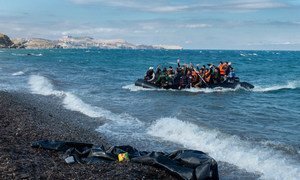 The agency is calling on the European Commission and Member States to continue preparations for emergency support and relocation measures at the request of the Greek Government. (SOURCE: UN News).